By now, Miami is well-acquainted with Citi Bike, the bike-sharing company whose blue bicycles are scattered at docking stations throughout Miami—in places like Wynwood and South Beach. 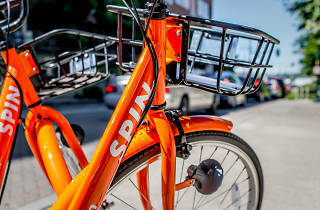 But a new U.S. company, Spin, has recently introduced a new concept to the states. 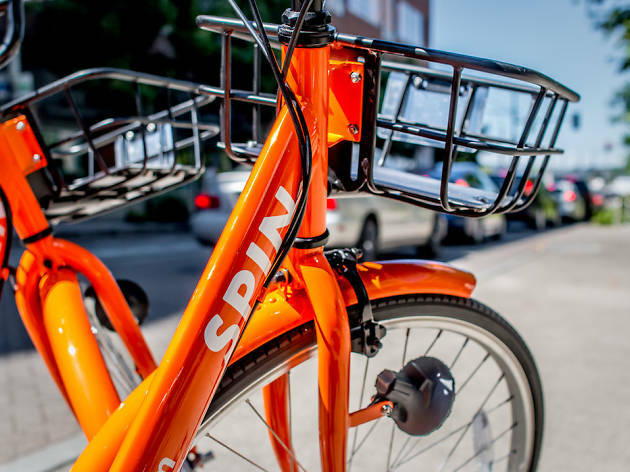 Unlike normal bike-share systems, Spin's bikes are dockless and can be parked and picked up anywhere around town. All customers need to do is download the app, which will lead you to the nearest bike. Once you’ve found it, you scan a QR code on the bike, it unlocks and you can ride around for $1 per half hour. When done, park it somewhere legal and go about your day. Spin is now operating in Coral Gables and Doral, joining other Spin locations like Seattle, South San Francisco, Washington D.C. and Dallas. The bikes are solar powered and, according to Spin, won't cost the city of Miami any money. So next time you see an orange bike lying around town, be nice to it! And, you know, please don't try and steal it. Ryan Pfeffer is the associate editor at Time Out Miami, where he covers culture, music and anything else that interests him. Follow him on Twitter at @Ryan_Pfefferoni.